The suppliers go through a rigorous application process to be included on the framework list. Following previous procurement exercises, we knew that it would be invaluable to spend time with potential suppliers before we publish further opportunities. We were particularly keen to engage suppliers who have not worked with DVSA before. We know that they'd like to learn more about what we do, how we work and our digital requirements. We decided that the best way to do this would be to bring suppliers into our office to meet us, show them how we work, and explain our plans for the future. We wanted them to leave the event with the knowledge they'd need to make an informed decision about whether future opportunities were something they'd be able to help us with. We wrote to all the suppliers on the framework. More than 30 attended the event with many others expressing interest in receiving slides from the day. The day provided the opportunity for the suppliers to find out a bit more about DVSA and how we work and the type of work we would be looking for them to bid for. James Munson, Director of Digital Services and Technology, opened the event along with Head of Procurement, Simon Young, who explained the digital journey DVSA has been on since 2014. They described some key objectives and plans for the future, such as growing internal capability and modernising legacy applications. For example, in 2017 we'll be looking for organisations to bid to work on improving our commercial vehicle testing and driver and rider services. Programme Executive, Alex Fiddes, gave an overview of the DVSA purpose, vision and strategy. 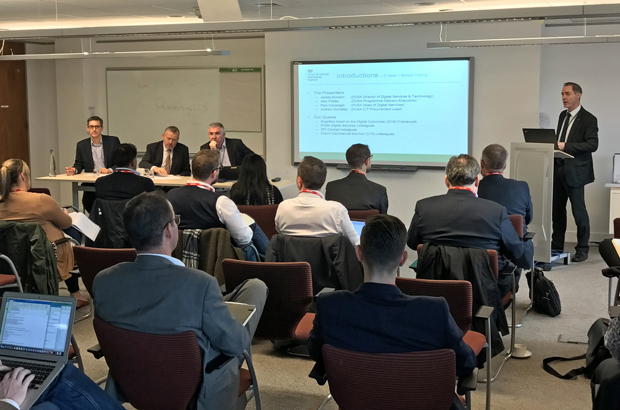 Then Head of Digital Services, Paul Cavanagh described the current DVSA Digital landscape, future developments and the part suppliers could play going forward. 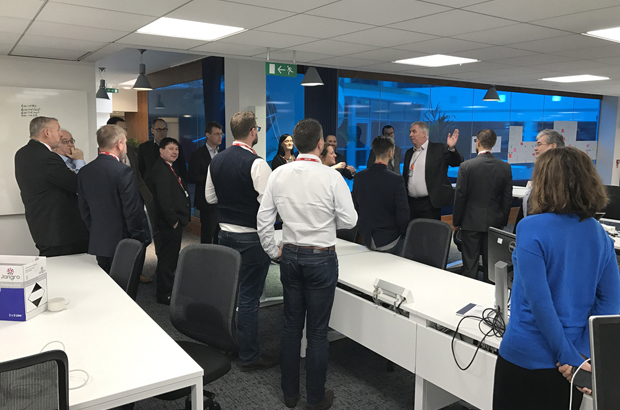 During the break, attendees were shown round the new digital working environment recently transformed to accommodate agile working practices. I'm an ICT procurement specialist, and I rounded off the day, going through plans for 2017 to support future digital requirements. A question and answer session followed covering all the topics presented. A quick note to thank you and the team for your efforts for the Meet the Buyer event today. These things are a lot of work and it’s challenging to get a complex story across in a short time. Thanks very much for the meet the buyer event this afternoon - I found it super useful and as an SME just up the road from you, it has got me excited about the potential of working with you in future. Thanks for the meet the buyer event. I found it refreshingly open and helpful. Feedback from suppliers about the day was very positive, so we're considering hosting a follow-up event via Skype. We'll publish any opportunities on the Digital Marketplace. 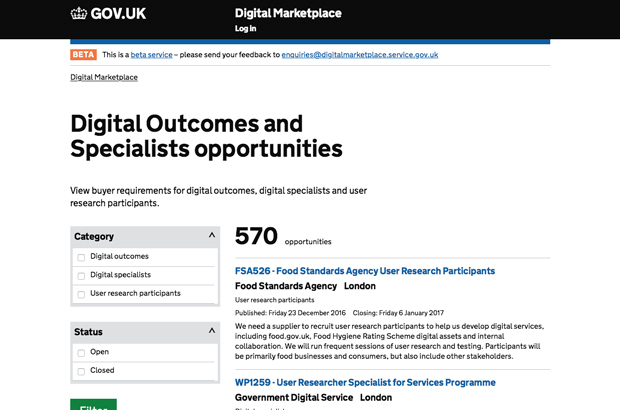 The Digital Outcomes and Specialists suppliers' guide has more information on how to sell digital outcomes, specialists and user research services to government.